Nore than 3,200 companies from over 40 countries will be displaying latest technologies and materials at ChinaPlas 2016, many of which have direct application in the E&E industry. 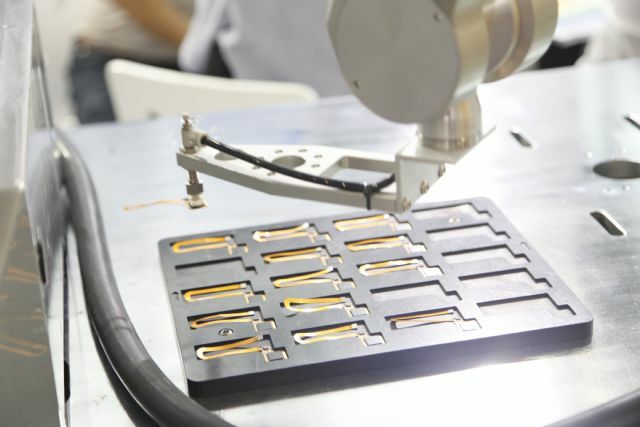 Electrical and electronics (E&E) products are becoming smaller, more interconnected and increasingly demanding in terms of performance requirements. Designers continue to cram additional electronic features into the slim, compact form factors of these packages. This often makes them run hotter while also necessitating exceedingly tight molding tolerances, extremely thin walls, and Class A, multi-material finishes, all while incorporating features like durable but highly sensitive touch screens. 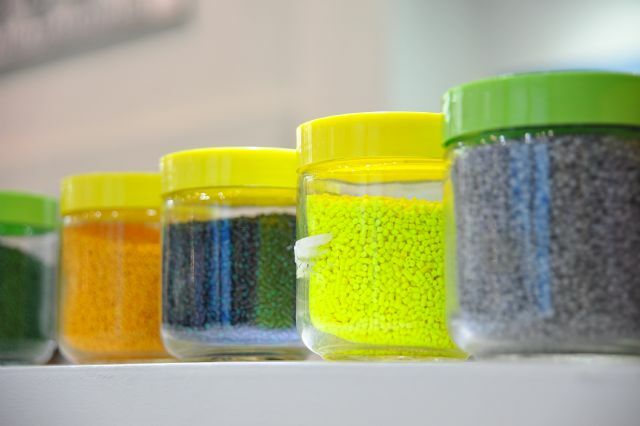 This increases the need for materials such as the Bayblend FR4000 flame-retardant polycarbonate blends that Germany's Covestro (the former Bayer MaterialScience) is now offering. Ideal for high-heat electronic housings, these products are lightweight, resistant to fire and weathering, and can withstand high mechanical loads. The firm claims they also incorporate environmentally friendly technology and are well suited for use in thin-walled components. Similarly, Dutch resin supplier DSM NV offers high-performance polyamides such as Stanyl 46 and Stanyl ForTii that are tailored for E&E applications, including connectors, switchgears, surface mount technology and LED lighting. Stanyl 46, for example, retains its mechanical properties at temperatures of up to 230°C. Brand owners everywhere want style, reliability and sustainability without sacrificing any of the multifunctional operational aspects of their smartphones, tablets, GPS devices and wearable devices such as smart watches, fitness trackers and healthcare monitors. Meanwhile, as the Internet of Things (IoT) connects more everyday objects to the web, allowing them to be managed remotely, a number of newly wi-fi-enabled items such as thermostats, locks, lighting, and appliances are emerging as part of the new “smart home.” In a recent report, Business Insider estimated the average American household has 100 items that could be connected to the Internet. Think, for example: lighting, security camera, locks, appliances, entertainment systems, smoke detectors, etc. Compounding, processing, coating, decorating and joining technologies continue to advance at warp speed in E&E sector. The challenges are great, but high-end rubber and plastic materials and advanced manufacturing, decorating and assembly techniques are helping to enable much of this transformation. Solvay Specialty Polymers, for example, has been working to apply its Solvene EAP electro active polymers with Plastic Logic's organic thin-film transistor technology to create flexible, low-power electronics. The aim is to give product designers the freedom to make more stylish and ergonomically friendly mobile devices, wearables and the like. Thermal efficiency is another important area manufacturers are keen to look into. Dow Corning® TC-3040 Thermally Conductive Gel (TIM 1) is the thermal interface material used to apply between a chip's surface and a heat spreader to provide more effective and reliable thermal management for semiconductors. The gel delivers twice the thermal performance of other industry standard TIMs. But it's not only materials that are helping to drive E&E innovation. Precision molding and handling equipment as well as eye-popping robotic technology also is making a mark. The e-motion 30 TL injection molding machine from Engel Group, for example, is designed specifically for molding small precision parts. Among the offerings from Canada's Husky Injection Molding Systems is its Husky VX valve-gate hot-runner system for the very high-performance PEEK (polyetheretherketone) engineering resins that are needed in some E&E applications. And automation specialists such as Shini Plastics Technologies and Wittmann Battenfeld offer robots with blazing speed and amazing precision for use in sophisticated production cells. These examples just scratch the surface when it comes to the variety and breadth of materials and equipment that are reshaping today's dynamic E&E products sector. The good news is that you can meet all these exhibitors, and many more at CHINAPLAS 2016. Currently Asia's No. 1 and the world's No. 2 and plastics and rubber show, CHINAPLAS 2016 will be held from 25-28 April, 2016, at the Shanghai New International Expo Centre in Pudong, PR China. More than 3,200 companies from over 40 countries and regions will be displaying latest technologies and materials, many of which have direct application in the E&E industry. Exhibitors who have already made their booth reservations include Demag, BASF, Clariant, Covestro, DSM, Du Pont, Emschemie, Engel, ExxonMobil, Hasco, Hotsys, Inglass, Husky, Jushi Group, KEP, Lanxess, LG CHEM, Mitsubishi, Mitsui Chemicals, Mold Masters, Mould-Tip, Nordson, Polyplastics, SK Global, Solvay, Synventive, Yizumi, Yudo, Zhejiang Shuanglin. It is expected that some 140,000 professional buyers from 150 countries and regions will visit to the show. 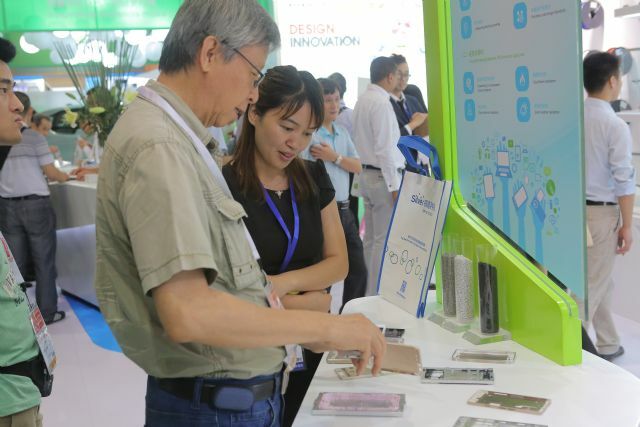 The exhibition in 2015 has attracted a number of leading E&E companies to attend, such as 3M, Apple, Changhong Electric, Dyson, Electrolux, Flextronics, Foxconn, Fuji Xerox, Gree Electric Appliance, Haier, Huawei, Jabil Electric, LG, Midea, Mitsubishi, Panasonic, Philips, Samsung, Techtronic, Vtech and ZTE, to name just a few. The ChinaPlas 2016 will showcase a legion of robots with blazing speed and amazing precision specifically designed for use in sophisticated production cells on display.